The last few years have been good to regional specialties as interest in all things food and travel continues to grow and the world increasingly becomes a smaller place. I recently wrote here at Forbes.com about the booming popularity of Japanese whisky, a topic that has been getting a lot of press. Thanks to the growing popularity of cocktails like caipirinhas, more Americans than ever have tried Brazil’s cachaca, while Peru’s pisco has enjoyed a similar run. So what’s left for the adventurous spirit drinker to try? Shochu is the national spirit of Japan, and while most Americans’ first free association of alcohol and Japan will be sake, shochu is more popular and has outsold sake in Japan for the past decade. Still, the two have a lot of similarities, and while shochu fans and producers like to remind everyone who will listen that shochu and sake are two very different things, the easiest way to describe the spirit is as a spirit that tastes sort of like sake. Sake is confusing enough, because it is almost always described as rice wine, but it is actually brewed, more like rice beer than rice wine (it also is not usually called sake in Japan, but rather nihonshu or seishu). It has far more alcohol than either wine or beer, usually around 30-35 proof, though still much less than hard liquor. Shochu on the other hand is a distilled spirit, most akin to vodka in the sense that it is typically clear and can be made from different raw materials, unlike most spirits (bourbon from corn, rum from sugar cane, etc. ), and is most often distilled from barley, rice, sweet potatoes, or buckwheat. More than half of all shochu is made from barley, the top choice. 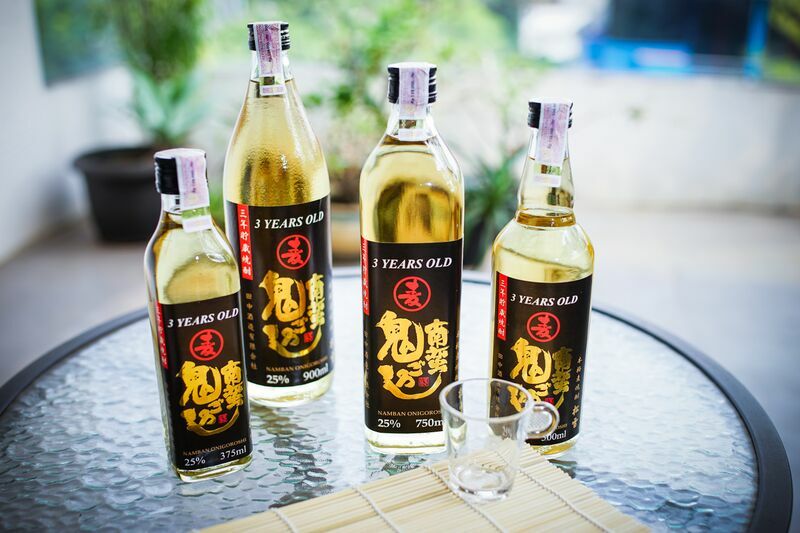 The production process is far more complex than vodka’s however, and there are myriad styles of shochu based on whether it is distilled once or multiple times, there is shochu fermented with mold, there are shochus aged in wood, and so on. Shochu is on the weak side for a distilled spirit as far as alcohol, at only about 60 proof, which also makes it easier to drink and much lower in calories (it contains zero sugar and has about a quarter of the calories per ounce of vodka). If you are someone who is always looking forward to trying new things, give it a whirl. If you have trouble finding it at the liquor store, you might have more success in better Japanese restaurants. ← What is Shochu (焼酎) ?